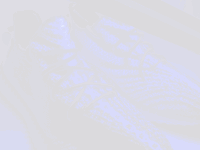 Created 2017-05-05 Modified 2018-02-16 © goVerify, Inc. 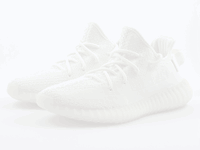 Learn how to spot fake Adidas Yeezy Boost 350 V2 Cream White's with this detailed 33 point step-by-step guide by goVerify. 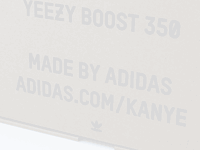 Looking for a pair of Adidas Yeezy Boost 350 V2 Cream White on ? 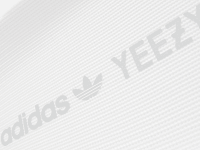 On the side of the retail box is a Yeezy Boost 350, Adidas and Trefoil logo as well as the words Made by Adidas, Adidas.com/Kanye. 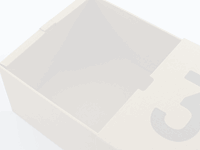 Check the quality of the printing, make sure the logos are solid with clean sharp edges. Also make sure the typefaces used are correct, pay specific attention to the diagonal bar through the 0 in 350. 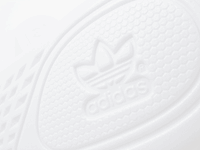 Make sure the logos are center aligned within the side panel. 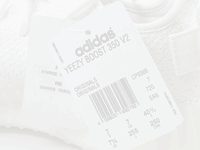 Adidas Yeezy Boost 350 V2 Cream White's come with a heavy duty pull tab on the heel. Check the quality of the weave, there should be no loose ends. 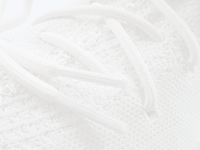 Take note of the single thicker cream stitch line that runs through the center of the pull tab, make sure it is wider that the rest of the stitching, it is difficut to see but it is there. You should also see a box shaped stitch pattern detail in the center of the pull tab, this holds the pull tab in shape. 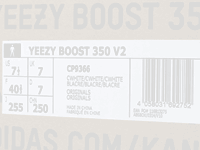 Adidas Yeezy Boost 350 V2's will have an insole with clean rounded holes cut into it showing off the Boost material underneath. 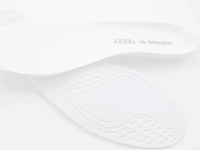 Make sure the holes follow the shape of the insole. 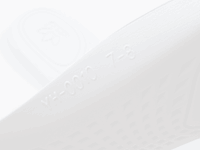 Make sure the stitching joining the insole to the upper is neat, tight and evenly spaced. 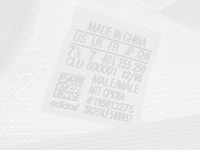 Tip (1): Look for the U shaped resin structure inside the Boost material, you can just see it at about the midfoot area, it looks like a semi transparent gel. 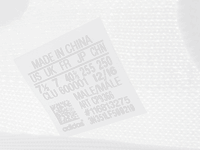 The sockliners will have an Adidas Yeezy logo printed on the top, make sure the printing is solid with sharp edges. 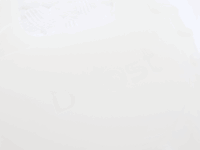 Also take note of the antimicrobial fabric, it looks like a very fine weave.